Ground Floor Flat For Sale in Leeds for £107,000. 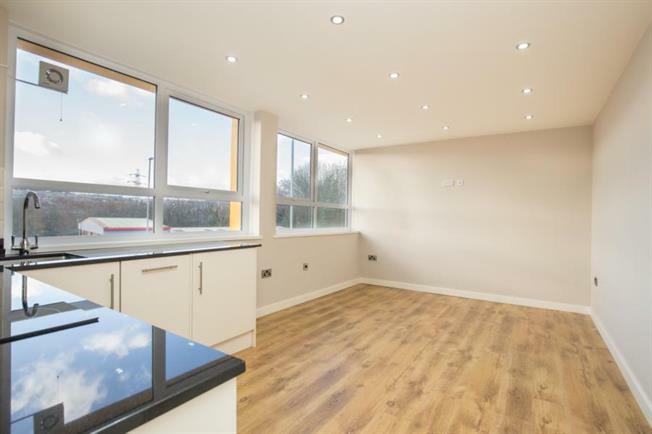 LAST FEW remaining properties at Kirkstall Gate. Call Bridgfords now for more information or to reserve your property TODAY! Apartment 7 is a beautifully designed one bedroom property located on the Ground Floor, which is available now for only 107,000! Kirkstall Gate is a development of 36 beautiful new apartments located in the heart of Kirkstall, Leeds. The city centre of Leeds can be reached within 10 minutes via a bus service which run every 15 minutes, allowing you to experience the city life whilst enjoying the peace of living in a village location. You will be within a close proximity of bars and restaurants, Costa coffee, gymnasiums and local supermarkets such as M&S food and Morrison's. Kirkstall is also located near by to motorway links, bus and train services. There are also 25 on site parking spaces. If you are a first time buyer looking for a fantastic first step on the property ladder, or if you are investor looking for a great monthly rental yield, call Bridgfords Leeds or Bridgfords Pudsey today!